Ultra Thick Card Stock. Delivered within 5 business days or less. 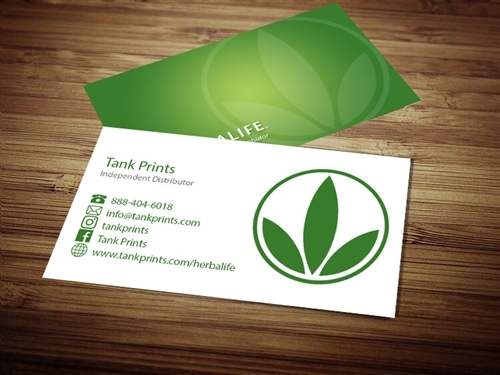 Tank Prints represents your personal identity. 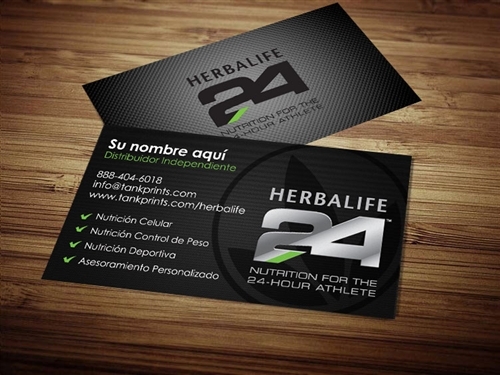 Herbalife deals with a worldwide band of customers and has already spread its wings over 65 countries and 6 continents. 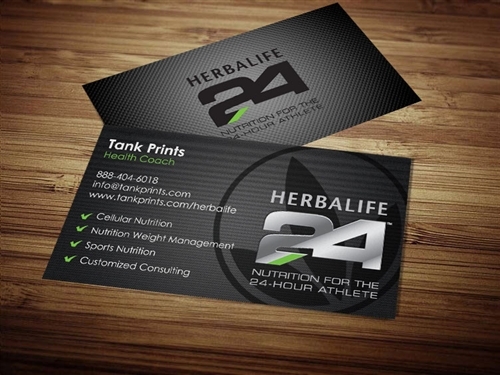 And when you aim to promote a global brand as strong as this, your business card needs to be of the finest quality. 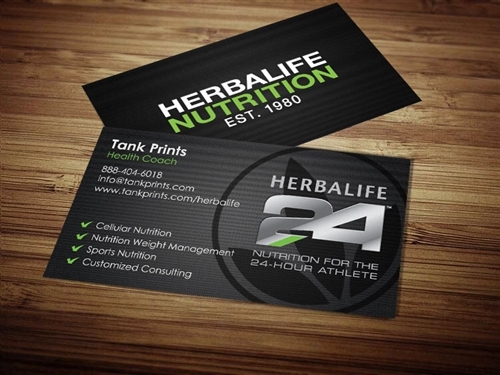 Choose from a customized selection of professionally printed Herbalife Business Cards at amazing rates. 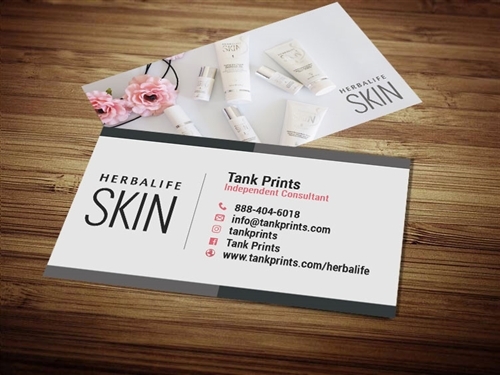 All our cards are printed on a 16 point cardstock – the thickest cardstock available – and you can choose an UV (glossy) or matte finish, as per your taste and requirement. 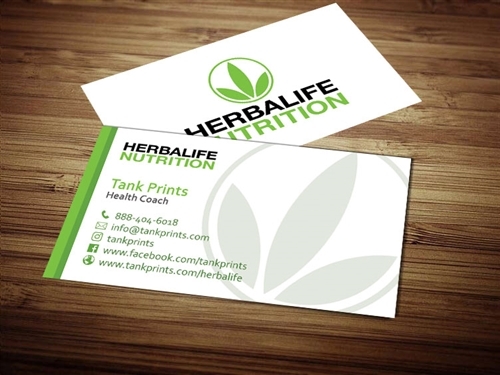 There are a number of Herbalife templates and card designs below for you to choose from. If you are unable to find your dream design here, we will be happy to design that for you absolutely free. 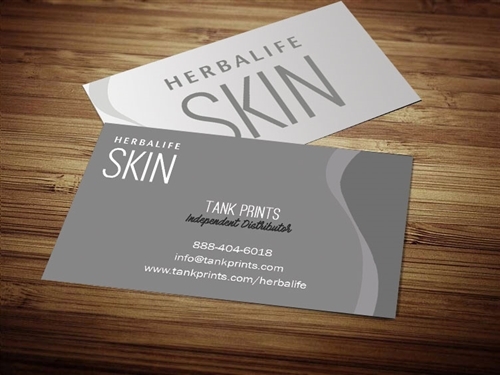 All cards are custom-made as per company-approved orders and specifications. If our cards do not wow YOU or your customer we are not correctly doing our job. We are here to emotionally excite and impress your clients. We also offer a satisfied guarantee! We accept all major payment forms. We offer our customers super fast processing and shipping times. 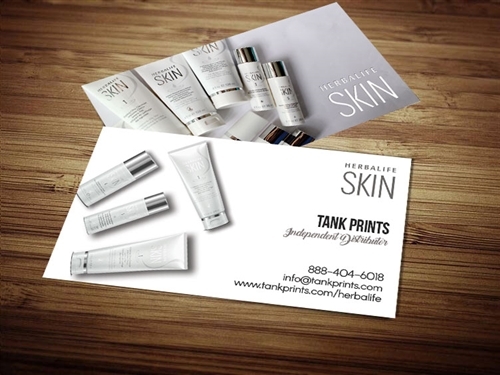 Once you order, your cards will reach you within 5 business days – guaranteed!